SculpSure uses non-invasive laser techniques to reduce fat cells without the need for surgery or incisions. At Nu Image Aesthetics & Wellness Institute, our experienced medical team treats patients with stubborn fat deposits by using the advanced SculpSure technology. This technology helps both men and women look and feel their best. 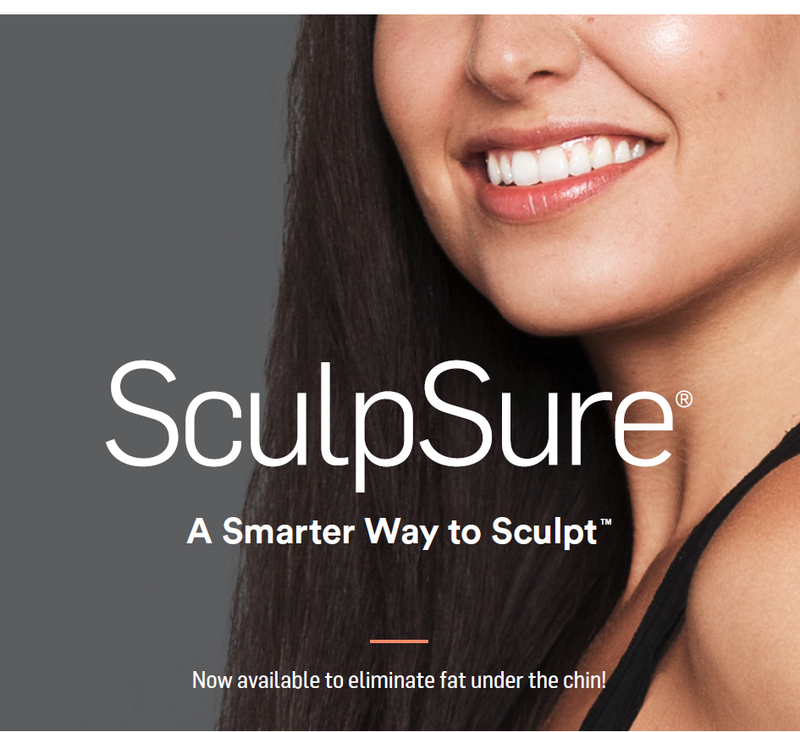 We are proud to be the 1st in the Midwest to offer Submental Fat Reduction with SculpSure! SculpSure is ideal for people with trouble spots, particularly those with seem resistant to diet and exercise. Most patients see results with as little as one treatment. However, you may wish to have additional treatments based on your desired results. Ask your NuImage provider about the best treatment plan for you. Many patients see results as early as 6 weeks following treatment as the body begins to evacuate the fat cells, with optimal results usually seen around 12 weeks.How long before I can resume normal activities? The number of fat cells stored in our bodies typically remain constant throughout our adult life. However, as we lose weight, the size of the fat cells become smaller but typically do not decrease in number. Even with diet and exercise, many people have difficulty losing weight in these trouble areas.